Use this Glittering Check Blue Lame Ribbon to spice up your Christmas decorating! 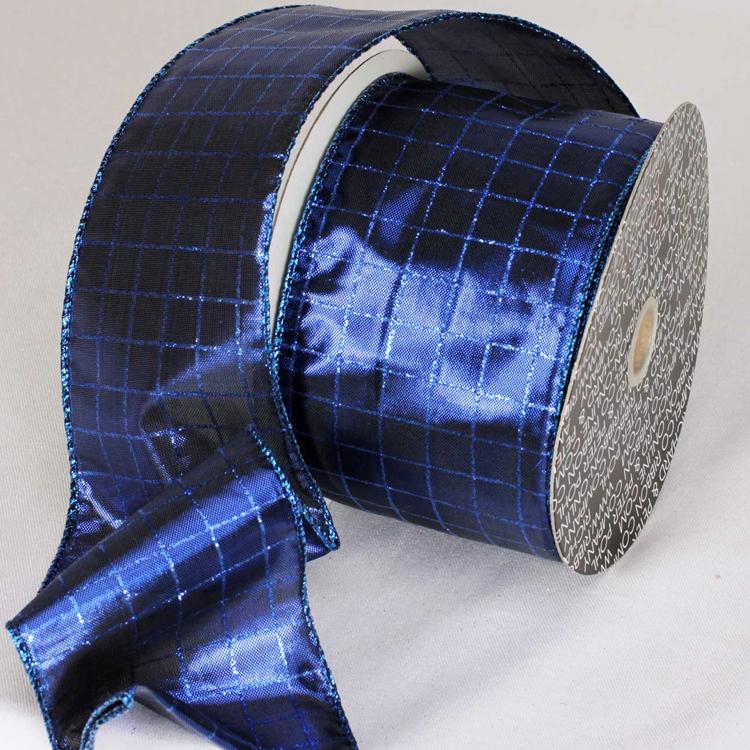 The Matching Metallic Wired Edge of this Royal Blue Lame Ribbon will help you create beautiful Christmas bows for your trees and wreaths. The Ribbon Diva offers a large selection of Metallic Holiday Ribbon - there is something for everyone.